The Bath Fizzy Mini Scooper is a great way to form mini bath fizzies and soap balls! 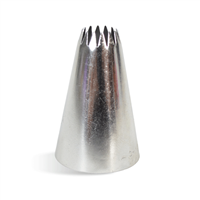 This metal tool makes creating bath fizzies quick and easy. Makes 1.375" ball. Pipe endless soapy creations and fill limitless lotion bottles with this 12 inch Reusable Decorating Bag. Bag is white in color and made of strong, flexible polyester that does not get stiff. 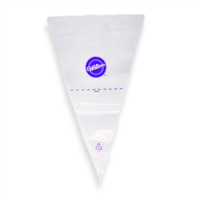 Disposable Decorating Bags make soap piping easy and eliminates messy clean up. 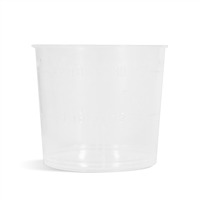 great for decorating soap cupcakes, or filling bottles and tubes of lotion. 24 pack of 12 inch bags. 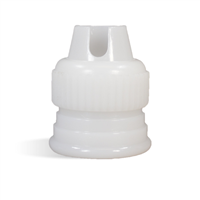 Decorating Couplers are a great way to pipe soap frosting, lotion and cream without the mess! 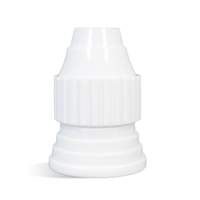 Use this large coupler for the larger frosting tips and make piping easy. Fits in 12 inch decorating bags. Decorating Couplers are a great way to pipe soap frosting, lotion and cream without the mess! 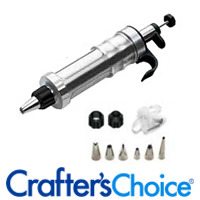 Couplers come with rings and attach to different standard sized decorating tips and make piping easy. Pack of 4 reusable couplers. This decorating tip is great to use for your soap frosting! Decorate you bath fizzies, soap cupcakes and more with this star decorating tip. Decorate your soap cupcakes, bath fizzies and more with this decorating tip. Great for your soap frosting needs! 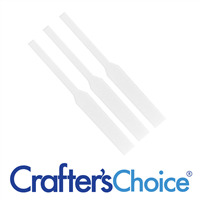 This Decorating Tip set includes 8 different stainless steel tips that allow you to pipe different decorations with soap frosting and whipped soap. 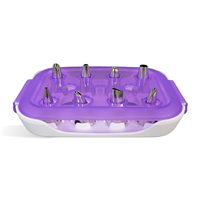 Also included in set is a purple dishwasher tray that allows all 8 tips to be secured for easy cleaning and storage. 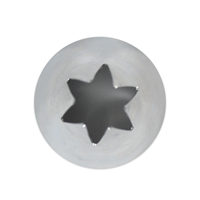 Use this Double Melon Baller to quickly create ball shaped embeds of soap and more! 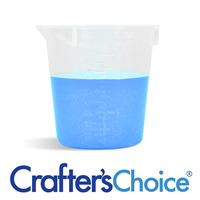 With one scoop per side, create two 0.75" embeds for your soapy creations! 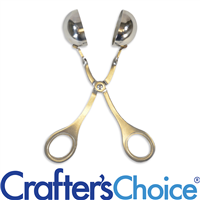 Made from stainless steel, this tool has a comfortable handle with a groove for the thumb. 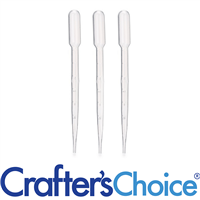 Fragrance Oil Blotter Sticks are long professional grade blotter strips that are used to smell fragrance oils, essential oils, your own fragrance blends and perfumes. These are essential tools for soapmakers and cosmetic crafters! Nitrile Gloves are allergy and latex free. 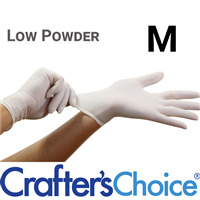 Protect against chemicals and abrasives when hand making cosmetics. Puncture resistant. FDA compliant. Wear Long Cuff Nitrile Gloves to protect a larger area arm when working with irritating or dangerous chemicals. Gloves are flexible, easy to work with and latex free. Textured fingers for easy grip. Size Extra Large. Wear Nitrile gloves to protect against chemicals and abrasives. Puncture resistant. Size Large Gloves. These gloves are latex and allergy free. FDA compliant. 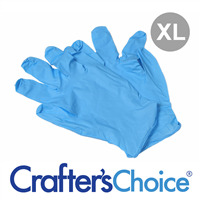 Protect and extended are of the arm with these Long Cuff Nitrile Gloves. 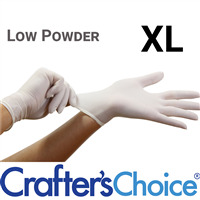 These long cuff gloves are latex free and perfect for those working with irritating chemicals and cold process soap makers. Flexible glove with textured fingertip. Large Size. 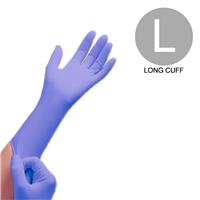 Nitrile Gloves with long cuff to protect an extended area of the arm from any unwanted substances. These gloves are latex free, easy to work in and especially great for cold process soap makers. Featuring textured fingers for a sturdy grip. Medium Size. These Vinyl Gloves are single-use gloves meant to be worn when making soap or cosmetics. Dusted with Absorbable Corn-Starch Powder. Extra Large Size. Large Size Vinyl Single-use gloves for soapers and cosmetic makers. Dusted with Absorbable Corn-Starch Powder. Single-use gloves made of vinyl. Dusted with Absorbable Corn-Starch Powder. Medium Size. 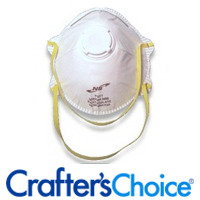 Great for at-home crafters! 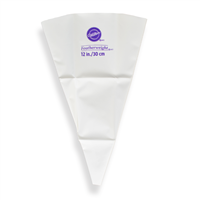 Wear these single-use vinyl gloves whenever dealing with irritating ingredients when soap making. Size Small. 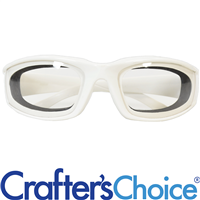 Made with Absorbable Cornstarch Powder. 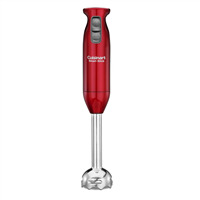 Great for measuring fragrance & other liquid additives.